People who are looking for ways to reduce their carbon footprint and avoid using fossil fuels are turning to off-grid living. This is a popular choice among such people as it helps them become truly independent. Making their own electricity, farming their own food and ditching the phone line are among the few things that going off-grid living entails. Being on the grid usually means being linked to a country-wide system of telephone, water, electricity and gas line. Going off-grid gives complete freedom from utility bills and the demands of the companies that provide utility services. Relying on renewable energy sources such as wind and the sun means living a more environment friendly way. Using the wind and solar energy to provide electricity can be used by any home, making it a source of energy that can be used to anyone. While some people argue that this way of producing electricity is expensive, technological advancements in recent years have certainly made it a less expensive affair. Rainwater harvesting system – Getting off the city water and sewage line is the next step in getting yourself off the grid. The best thing about water is that it’s everywhere; you just have to look closely. From falling on your head as rain to running below your feet in the form of groundwater you’ll find water just about everywhere. 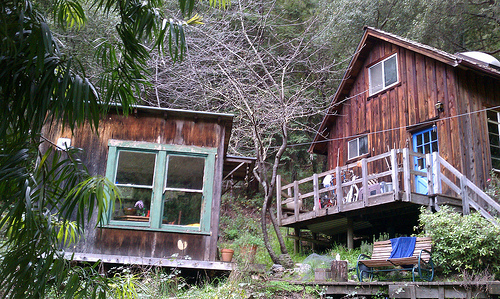 These are two huge sources that can be tapped into to get into an off-grid living style. Getting underground water is quite simple, drill a hole into the ground. Once the hole has been drilled, a pump is used to extract the water. There is a chance of harmful contaminants seeping out into the well so make sure to dig deep; the deeper you go, the cleaner the water you will find. Install a filter and you will be free of any local watering restrictions that are applied during drought. The other way of providing clean water is by using a cistern (a tank or reservoir) to collect rainwater. 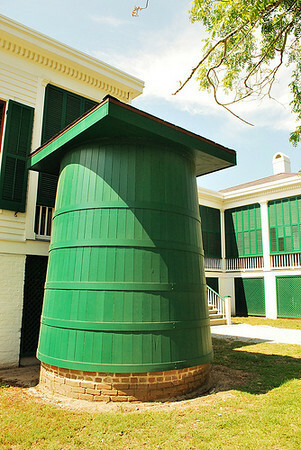 The cistern can be placed above or beneath the ground and are made of concrete or fiberglass. The cistern pumps the water out of the rain gutter and is pumped back into your house for usage. There are many books on cisterns. To go completely off-grid living, you also need to disconnect from the sewer line by installing a septic system instead. This is a tank that holds the waste and has bacteria already inside it that helps in breaking down the waste. It collects the waste, which is naturally separated into layers. Soil is one of the best biological filters and is helpful here to keep the dangerous bacteria underground up to the time they are finally absorbed as nutrients. The septic system should be serviced once a year by a professional to keep it functioning at its best. The benefits of off-grid living are encouraging more people to change their way of living. Thousands of people have proved it and these numbers continue to grow. With off-grid living you can become truly independent.